Ah that photographer hailed him! 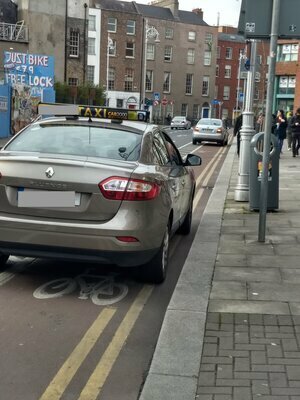 The other car has his hazard lights on so that’s ok.
Just politely inform them that they are obstructing traffic and blocking a cycle lane. I’m sure they’ll be only delighted to oblige. 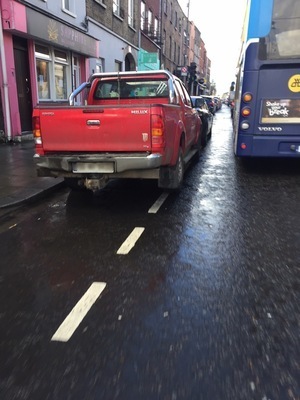 Yeah I did politely ask a taxi driver, who was parked in the bike lane and forcing me into the Luas tracks the other days and he told me, “there’s my number, report me”. I hope you took a photo and did as he advised. Have you ever been outside the house? Not in at least 10 years now. I can’t remember what the wind feels like. 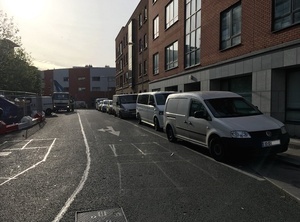 The problem here is like most parts of Dublin, the Gardai have just given up policing the roads, its human nature, bad behavior creeps in by a few , eventually everyone follows suit…. Very true. When I’m in a cab I ask the driver to stop somewhere safe and legal. But they just pull in anywhere – because they get away with it! Look up the Broken Window theory on how their behaviour adds to the problems. When drug deals go on within site of patrolling Gardai and addicts openly shoot up on city streets, the floodgates are opened to all sorts of malfeasance. You’ll find that drug taking is not illegal but the possession of drugs is. It’s simply not worth a garda’s time to interfere with someone taking their ‘medicine’. How can you take drugs without having the drugs in the first place? I have been in Dublin city centre nearly every day for 18 years including spending significant amounts of that time in the Liberties and Dublin 1 and I have seen someone with a needle in there arm once more ten years ago. 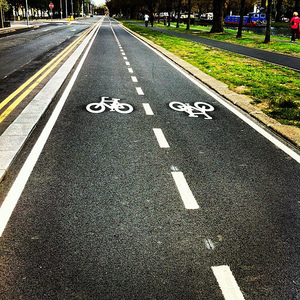 I think it is actually the lack of any barrier between the cycle lane and road. I absolutely hate this cyclists against cars narrative. The problem is bad infrastructure.